If you have read the blog for awhile, you probably recognize that my posts typically fall into one of three categories, which just happen to be the title of the blog itself: style, home and sweat. Those things are all important to me, and I love that my blog is not pigeon-holed into just one of those categories. If not already obvious, I write for myself for a bit of catharsis and to share a little bit of me with the interwebs and whoever wants to read; I don't write for sponsors or to amass a bunch of page clicks or for advertising dollars. There's nothing wrong with that approach to blogging ... it's just not where my blog fits in. You've also probably noticed that there are (and have been increasingly more) posts that are sort of outliers - posts that don't squarely fit in the style, home or sweat categories. Posts that are more my own musings or thoughts. Posts like Rainbow Connection, Running Through, My Funny Valentines, etc. There are times when I just want to write about what's going on in my head and in my heart. I am glad that I have a place to do it. I have to confess that I was feeling pretty melancholy yesterday. Even though life is, by all accounts (and frankly by my account, which is the only account that truly counts), good, I was feeling down and sorry for myself, and unfortunately that feeling coincided with a day on my own. I am not unaccustomed to time to myself and without the kids. It's just on this day, for whatever reason, I was feeling pretty blue. I usually seek out the company of other people - that is my inclination, my instinct and my tendency. But yesterday I wanted peace and quiet and solitude. As I sat on my couch, willing myself to take a nap that I knew wasn't going to happen, I realized I needed to get outside. Now, again, if you've read this blog for more than a minute you know what my inclination was: I wanted to run. But I had already run 8 miles in the morning and I wasn't up for more miles (which, ultimately, was a blessing in disguise). I decided to put on my new trail runners and go for a walk and explore. I truly unplugged. I left my watch, my phone, my iPod, everything at home. It really was just me and my thoughts. I decided to explore the trails along the creek near my house, which, I'm ashamed to admit, I have not done in the 3 years I've been living here. I indulged my wanderlust and just walked with no real purpose other than to clear my head and explore. After just a few minutes, I realized all that I've missed by running all the time. Walking along the quiet, wooded, shady trails enabled me to completely let go - to simply be, to see what was around me and appreciate the simple beauty. I walked through the mud, I explored a trail up a hill, I stood on the pebbly shore of the creek and watched a few fish swim by, I took deep breaths, and I started to cry. I'm not sure why and I'm not sure it matters. But I found myself crying as I walked, and rather than stop, I just kept on walking and letting the tears flow. It was obviously a release I needed. While I still don't really know why the tears came, I don't think it matters. They did, I let them flow, and I felt and feel better. I found myself thinking of my friend Maggie, and then found myself talking to her. I try to talk to her when I run, but that never really works. Running thoughts are so staccato and broken up. 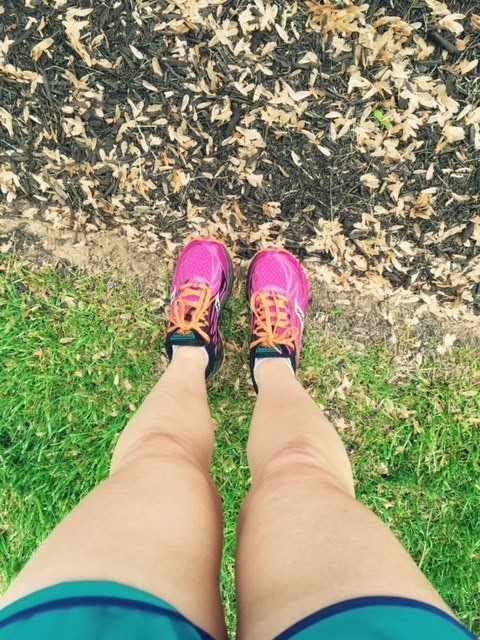 Running is more about pounding out stress and sadness than really muddling through. I muddled through on my walk. I had no real purpose, no destination, no earthly clue where I was going, but I kept walking. With wanderlust fully engaged, I started to feel better. I'd veer off the path and check out a steep hill to see what was at the top. I'd walk to the creek bank to check out a gorgeous purple flower. I'd stop for a minute and take a deep breath and say a quick prayer of thanks. And I kept walking. I found myself on a hillside covered in buttercups. 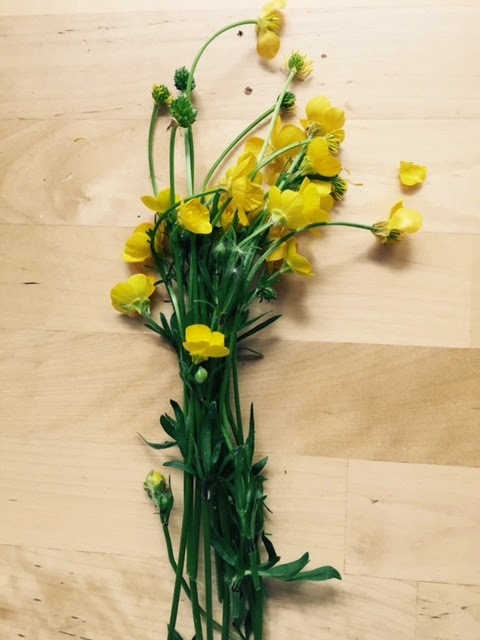 I can't remember the last time I saw a buttercup, let alone an entire hillside filled with them. The ground cover was yellow and for a moment, I wished I had my phone so I could snap a picture of what I was seeing. Not wanting to forget that sight, I stopped and picked a bundle. My wanderlust led me right to Valley Forge Park. I had heard that there was a trail that led from where I live right to the park but had yet to find it. I found it yesterday. I realized on that walk how I need to indulge my wanderlust more often with a slow, steady walk. Of course I will still run every chance I get, but I also realized I need to do more exploring and walking. I feel like I've missed out on a lot of the world around me. While I was walking, I was thinking about this post and how it was my reconnection to wanderlust. But I also realized that the walk was as much wanderlust as wonderlust. Where wanderlust is the exploration of the world around you, wonderlust, to me, is the exploration of wonder and of mystery. 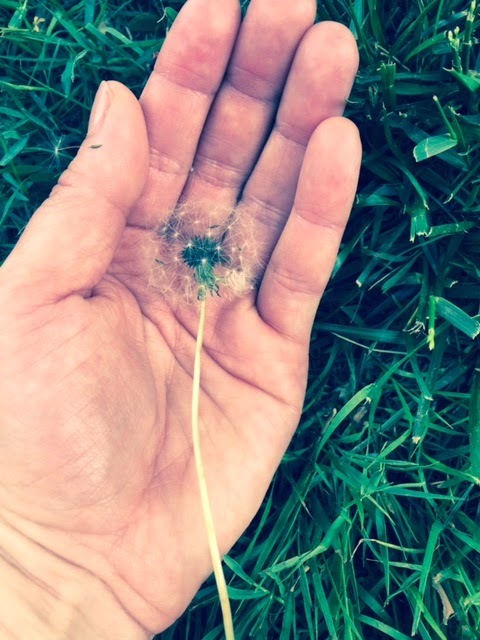 I had not really thought about that until the moment during my walk where I was walking through what felt and looked like a blizzard of dandelion puffs - you know ... the ethereal white puff balls that are everywhere in Spring and are the bane of any self-respecting lawn-loving person's existence. But it was magical. It was really like a beautiful flurry of dandelion puffs all around me. For a little while, I tried to find the source - where could all these puffs be coming from? But I stopped myself. Because I knew that no matter where the source, nothing could compete with the beautiful image I had in my mind. I didn't want to ruin that. And as I walked through those lovely wisps, I thought about how when we were kids, we would take those puffs and say "make a wish!" and blow them away and hope our wishes came true. I was surrounded by wishes, surrounded by wonder. What was that wish? What was that one? What was mine? I closed my eyes and felt the billowy wishes wash over me. I hope that some of mine come true. That's wonderlust for you ... it's the beginning of a dream, of a wish, of hope. It's the seduction of the very beginnings of those things in your heart. It is well with my soul. I can't guarantee I won't be sad or melancholy again. But I know that I just need to wander, and wonder, and things will be better. And it will be well with my soul. Beautiful Shanna, as a fellow people-person I am glad you took that moment to be alone, we all need that sometimes.